Leo's profile frames perfectly in your life; you feel attracted to this native as he stimulates you from an intellectual point of view and you want a future next to him. 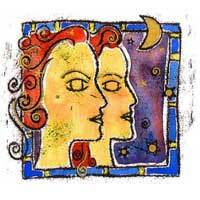 But Gemini should pay attention because they can become incomprehensible. Both Leo and Gemini natives have something to learn from one another and this time Leo has a more alert rhythm while Gemini prefers to take things slowly. The natives of these two signs are compatible especially because of their humor. 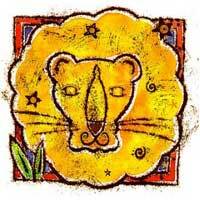 Leo is an inspiration for Gemini, a source of ideas and makes them want to exteriorize. Many of Gemini's romances involve Leo natives. Together they have profitable ideas and one of the main results of their relationship would be the intellectual stimulation. This leads to discipline, imposing, taking decisions regarding the best ideas, possibility etc. It will be an affair based on fireworks and passion. But Gemini wants to feel loved and it's up to his patience whether he will find this in a Leo. The Sun which rules the zodiac sign Leo combines with Mercury and creates stimuli, which can be noticeable in travels, passionate arguments break ups and reconciliations. As a conclusion, it's an active relationship!